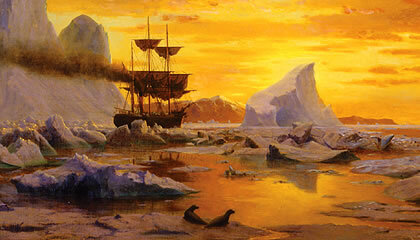 Just at the end of Main Street, there is a gentle curve which follows the water. 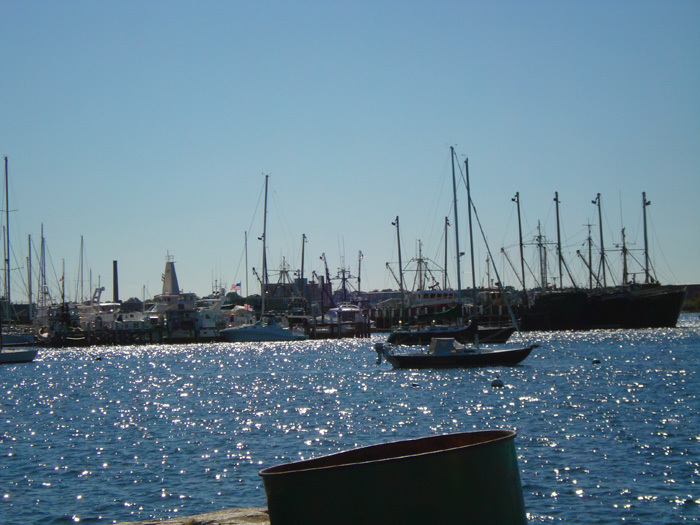 The view of the little boats and across the water of New Bedford is superb. 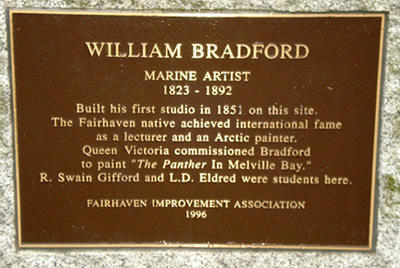 On the shore at this point is a plaque marking the spot where famed marine artist William Bradford had his studio. 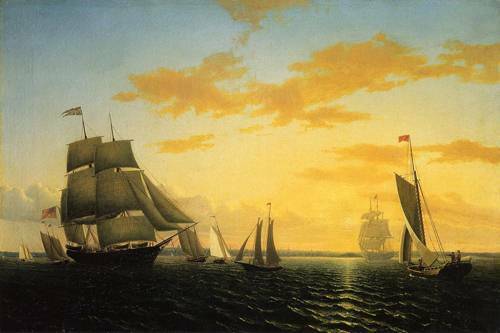 Fall River had its share of fruit and flower-painting artists, but Fairhaven can boast a bevy of artists inspired by their waterfront surroundings. Bradford’s paintings may be found in galleries all over the country with canvases in New Bedford at the Whaling Museum and in Boston at the Museum of Fine Art. 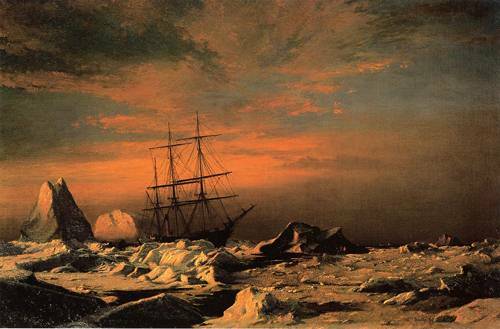 This painting has been a part of a special exhibit at the Whaling Museum.